… so said Monty Python with great wisdom and insight. 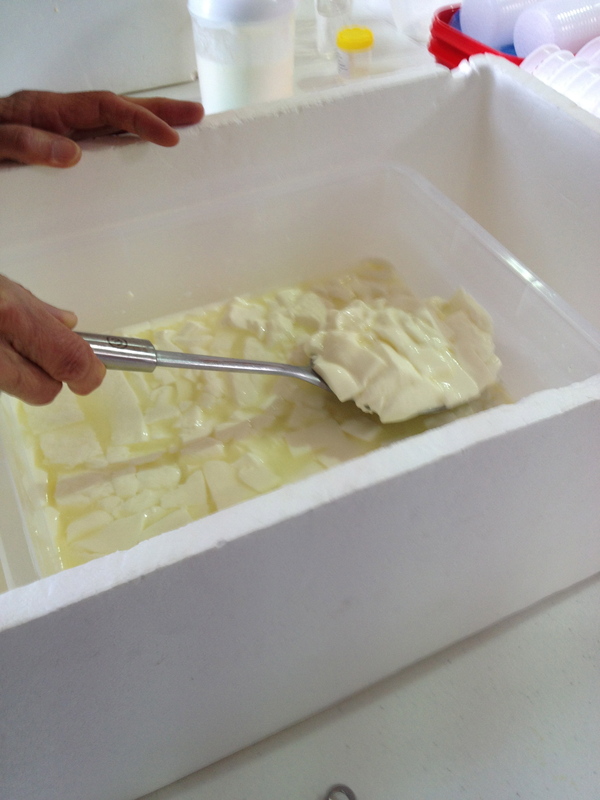 My friend G and I undertook the task of learning to make cheese with a day-long workshop held by The Cheesemaking Workshop at High Valley in Mudgee. 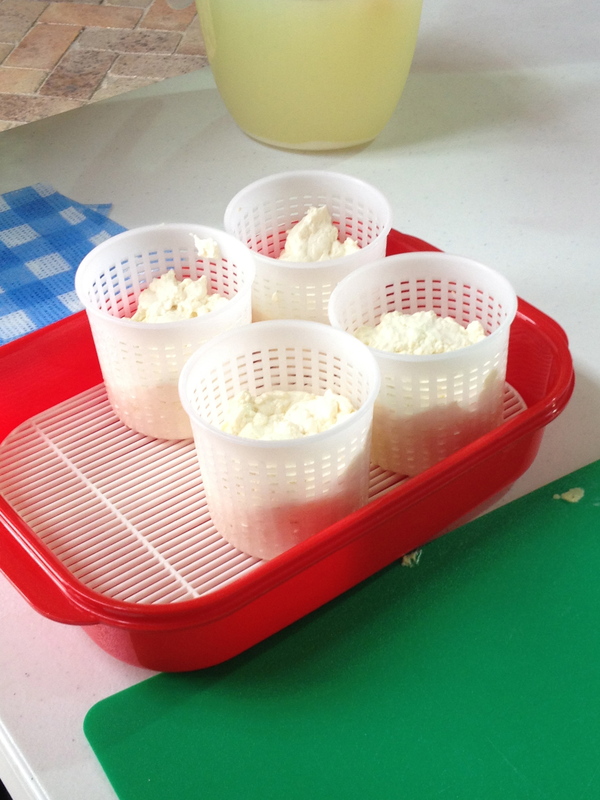 Cheesemaking seemed a difficult task given the complexities and varieties of cheeses available, however the class was great fun, highly informative and gave us great confidence that we would become serious artisan cheesemakers of the future. 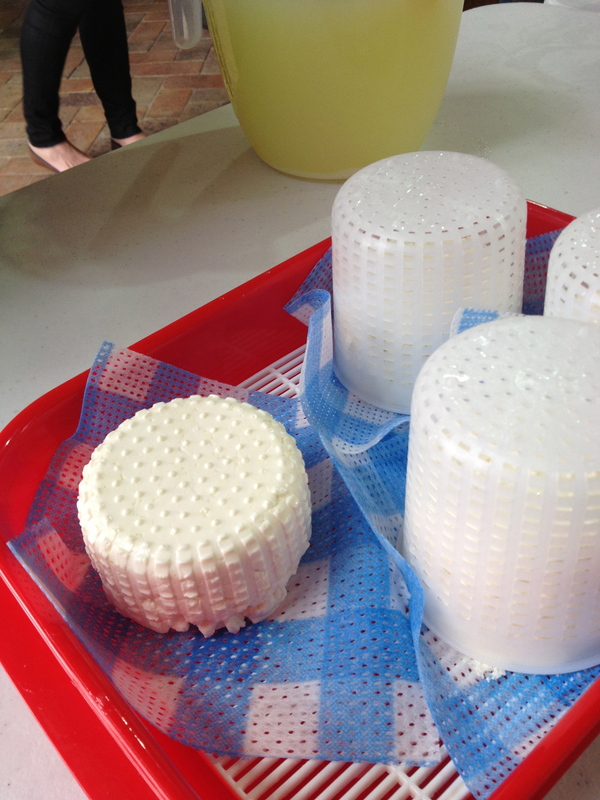 Our class was learning the fundamentals of soft cheesemaking which would also be the basis for some of the more complex and hard cheeses. 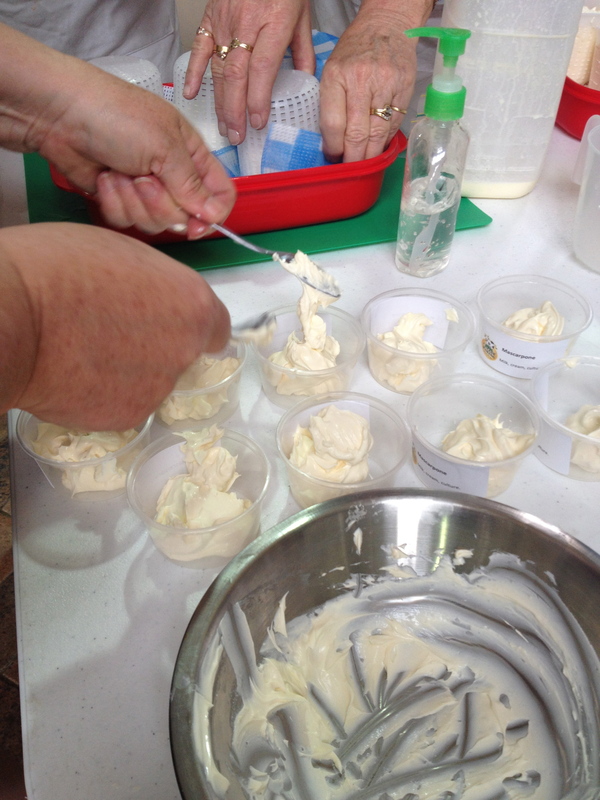 Amazingly, we managed to fit in so many types of cheese/dairy products – ricotta, quark, yoghurt, fetta, marscapone, camembert. We were in a group of about 12 that split into sub groups of three which gave us a highly hands on experience in making our own cheeses. It was surprising to see that this was so highly process driven with a few common ingredients and the scientific aspects that made the difference between the types of cheeses, such as how thickly curd was cut, how differently or frequently it was turned or agitated and then the difference in finishing – brines, drying, bacteria additions … All incredibly natural and not difficult – just following processes and being patient as it takes some time to go through steps and allow cheeses to develop. Anyway, as a result of the classes, G and I came home well equipped to make cheese and confident to boot. We spent the next few days looking after our fetta and camembert and I’m keen to make some ricotta and take it through to my own baked ricotta tarts. 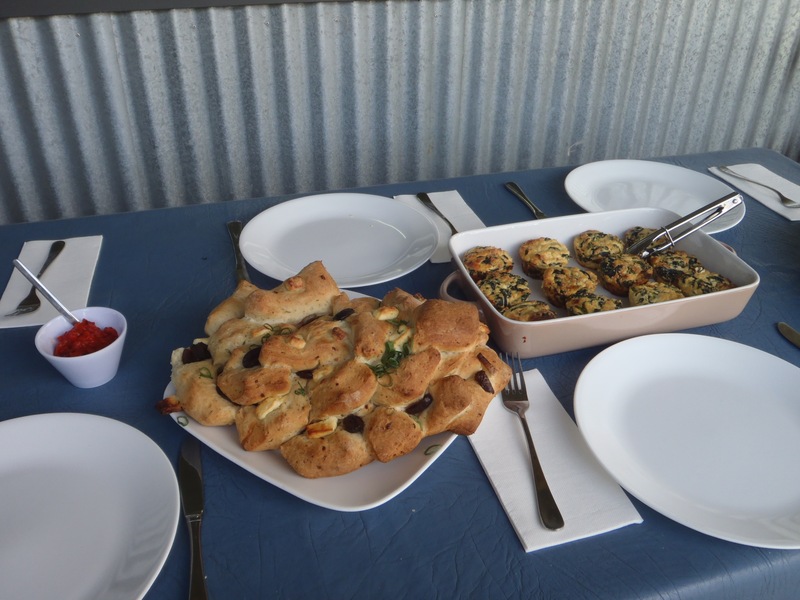 The class also showed us wonderful ways of incorporating our cheese into practical cooking which we more than sampled during the course. I’d encourage anyone with an interest in cooking and produce to look into taking a course. I know the internet is a great resource and you can buy books, but taking a course, getting tips and doing it under the supervision of a good instructor just makes such a difference. Oh … and please, never throw your cream out again. If it is close to the expiry date and you won’t be using it, just whip it up with a pinch of salt – you can use a handheld beater or a Bamix type blender stick or your full bowl mixer. Making your own butter is so much fun – just whip it and either form it into a ball or shape with your hand or implements. Squeeze out the whey and you have great homemade butter which will last a few more weeks. I’ll post my cheese exploits in future posts.